Looking to give your lashes a boost? 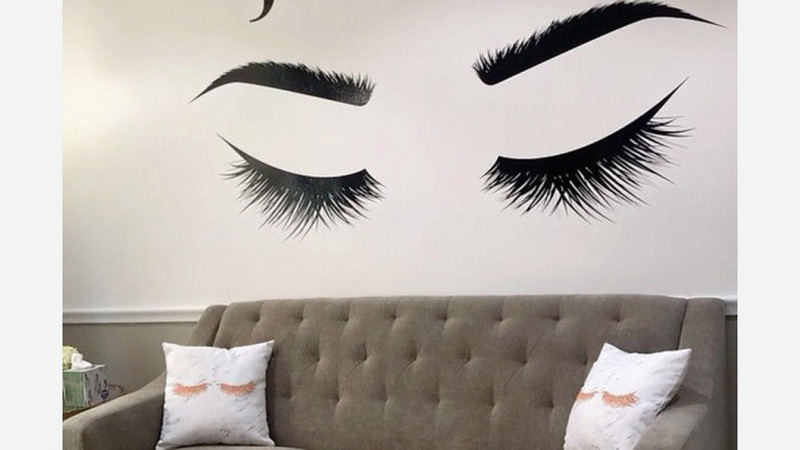 You're in luck: a new eyelash service and waxing spot has opened for business in Rittenhouse. Located at 2020 Locust St., the new arrival is called Juna Beauty Spa. The owners are both licensed lash artists with decades of experience in the beauty industry. The spa's website explains that the two women "have perfected their lash craft by fusing multiple techniques, styles and products together to create beautiful, long-lasting lash extensions." The well-appointed space is bathed in neutral tones and has comfortable seating: clients sit in large recliners. Facial waxing is available, but Juna Beauty Spa's primary focus is lashes, with full sets starting at $200 or $290, depending on whether the new lashes are applied by a junior or senior stylist. With a five-star rating out of seven reviews on Yelp so far, Juna Beauty Spa is on its way to developing a local fan base. Monica L., who was among the first Yelpers to review the new spot on April 5, said, "Judy has been doing my lashes for the past several years. She takes her time in customizing your lashes so your eyes can pop. I recommend the hybrid set. They give you a subtle natural look with a hint of glam. Great for everyday wear!" Yelper SuSy N. added, "This establishment is impeccably clean, cozy and comfortable. From waxing to lashes to eyebrows this is the place to get beautified." Intrigued? Stop in to try it for yourself. Juna Beauty Spa is open Tuesday-Friday from 10 a.m.-7 p.m., Saturday from 9 a.m.-6 p.m. and Sunday, and Monday from 10 a.m.-5 p.m.